Disappointed that most entry-level solid-state drives are limited in capacity, speed or both? 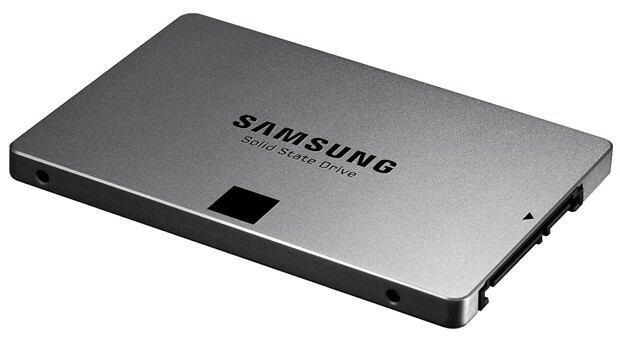 You’ll be happy with Samsung’s newly unveiled SSD 840 EVO, then. While it’s badged as a starter model, the 2.5-inch SATA drive carries up to 1TB of storage, or twice as much as the regular SSD 840. Thanks to both 10nm flash memory and a multi-core MEX memory controller, the EVO range is also faster than you’d expect from the category. Depending on the model, sequential write speeds have doubled or tripled versus the original series, peaking at 520MB/s; the flagship 1TB edition can read at a similarly blistering 540MB/s. Samsung doesn’t yet have US pricing for the SSD 840 EVO line, although it expects the drives to reach “major” markets worldwide by early August, with other regions coming later.